James Bond is undoubtedly one of the most iconic and recognizable characters in the film industry over past five decades. The character of British super spy has been played by five different actors, but it is always presented with the same charm and appeal from suave Sean Connery to muscular Daniel Craig. Besides gorgeous ladies, technological gadgets, and muscular the cars the things which make him superior to the rest of fictional character is his sense of dressing. According to 007: “style is something that brings confidence and comfort to dressing & appearance”. 007 fashion appeal makes him famous in ladies, where his exceptional dressing style inspires almost all kind of men. 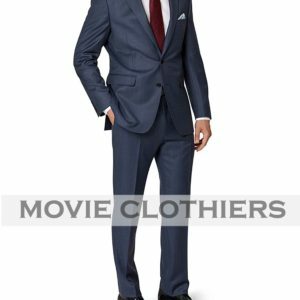 If you are in a search of getting an iconic British secret agent looks a then you just landed at the right place as we offer various style of James Bond suits from Sean Connery’s iconic three piece suit to Daniel Craig’s stylish Skyfall tuxedo and his latest James Bond Spectre suits. You got a lot of options to pick a style from 007 look book effortlessly and at an affordable price. 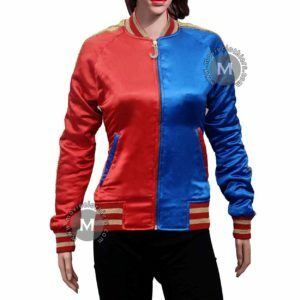 In this 007 cosplay costume guide we’ll provide you all the necessary details to be like 007 in any upcoming Christmas parties and get a dashing formal looks. As highlighted above Bond is famous for his immaculately 007 tailored suits over the past 50 years. We all have seen him donning one after another suit and capturing the attentions of all the viewers. To dress like 007 in any formal or Christmas party you must need a tailored suit with the solid colors like navy, grey, brown. Although we have also seen Bond carrying pattern suits including pinstripe, herringbone, and glen check. You can either go with two piece or three piece suit to replicate an elegant espionage character, but if you want to dress like Bond perfectly then you have to capture every bit of his style. Bond almost all time spotted donning suit with functional cuffs, and 3-roll-2 button closure. We have mentioned James Bond few timeless suits you can afford to spend and wear in your upcoming theme parties as Bond.. James Bond. In the Casino Royale, Bond appears in the Gray linen suits which was designed by Brioni. The off-white suit features three-button front closure, three-button cuffs, double vented and flapped pocket at the waist. If you are planning to dress formal in summer weather (not Christmas particularly) then this attiring linen suit is help you to get an appealing look with ease. 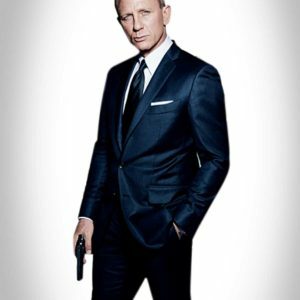 007 had worn this suit with white half sleeves shirt, black sun glasses, and brown shoes. You can putt on the similar accessories to get the screen accurate looks. Inspired from the first Daniel Craig 007 film where he spotted donning this suit during the final scene of the film. 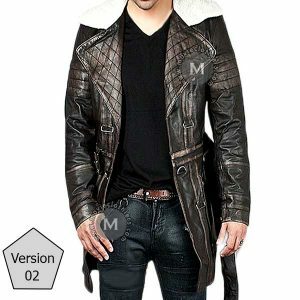 If you are fan of wearing three piece suit or want to stay comfortable in chilly Winter Christmas parties then this is a perfect attire. This Casino Royale three piece suit features peaked lapels, one chest two waist pocket, dual side vents. Charcoal suit is considered as the best attire Daniel Craig putt on while portraying the character of British superspy in the movie “Quantum of Solace”. Just like the rest of his suits, the fit was top notch and perfect. 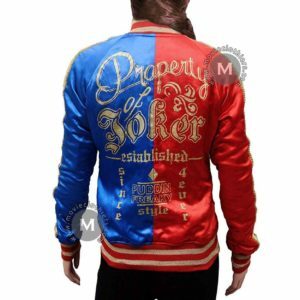 This jacket details notch lapel collar, three button closure, five button cuffs, and two flapped pockets at waist along with a ticket pocket. The charcoal suit is the best way to make yourself center of all attractions. We have seen Bond running, jumping and fighting in his grey suit during the action-packed opening sequence of the most successful 007 film (Skyfall). This suit features perfect fit and details beside its exceptional two-tone fabric look. It has notch lapel, 3-roll-2 button, one chest and dual flapped waist pockets. Add more interest in your personality even more with the manifestation of this timeless suit. Daniel Craig had worn this suit while playing the character of 007 in his third successful movie “Skyfall”. 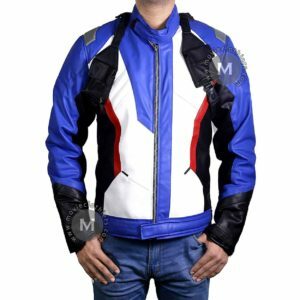 Bond has grasp every one’s attention by wearing this classical suit. He wore this charcoal suit during London scenes. This 007 charcoal suit contain notch lapel collar, 3 roll 2 button front closure, two flap pockets at the waist, three button on the selves , round bottom and fully lined which gives more attractive looks. Trousers features flat front, turn up bottom and lined to knees. Following the opening sequence of Skyfall Daniel Craig also spotted donning Windowpane suit in the Mexico pre-titled sequence of the most recent installment. This suit features close-fit just like the rest Skyfall suits. It is comparing notch collar, one chest pocket and two waist pockets. If you are a great fan of fabrics and this Windowpane suit is what you need. Certainly the best suit in the film, Daniel Craig spotted wearing this elegant piece of clothing during shooting action and thrilling scenes in Rome. If you are a biggest James Bond fan and desiring to replicate his latest looks then this navy three piece is a way to go. Another appealing yet classic suit from the latest Bond installment, it features the same pick and pick (sharkskin) fabric which was used to create the opening Skyfall suit. 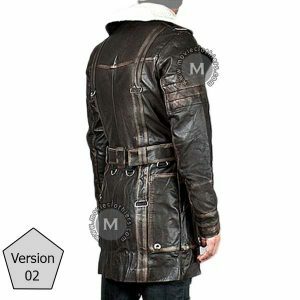 It also have the similar 3-roll-2 button fastening closure, and working cuffs. This sharkskin suit is the perfect example that simplicity is beautiful when adorned with appropriate style. One things which makes Bond look different than other the rest of the fictional characters is his black tie attire no doubt. Out of 24 movies, Bond spotted donning tuxedo is 22 movies. It is also consider as the signature attire for Ian Fleming British spy character. Bond had worn black, navy and, and white color dinner suits throughout. Daniel Craig’s Bond first black tie attire was undoubtedly a masterpiece. It was the first and only peak lapel tuxedo Craig had worn till now. If you are a fan of donning peak lapel style, then Bond’s classic attire is what you need and deserve! The other details of this Casino Royale tuxedo are one button fastening, one welt two chest pockets, and dual side vents. We have particularly mentioned Craig’s Bond attires in the blog so far; this black tie outfit is also spotted in the second Daniel Craig film Quantum of Solace, but it was inspired from the first ever Bond tuxedo. The legendary Scottish actor Sean Connery who played MI6 agent character in the five movies had worn the black tuxedo with exact features in the Dr. No. It features the timeless details including shawl lapel collar, traditional one-button fastening, gauntlet cuffs, and unvented style. If you want to enhance your looks even more than this Bond tuxedo deserves a place in your closet. If you are looking for a substitute for black color than Midnight blue will be the best option, that usually consider as blacker than black and also gives the shade of mid-green and dark brown. Midnight blue color dinner suit consider as the second formal choice after black. We have seen 007 carrying this midnight blue tuxedo during his mission at Macau. This jacket comprising shawl lapel, three button on cuffs, and one button front closure. The lapels and pockets are trimmed with black satin, it is also having one breasted and two jetted pockets. If you are fan of classic style dinner suits or desiring to give yourself an old-school look then this latest Bond tuxedo should be your choice. The ivory tuxedo which Craig had worn in Spectre movie was again an inspiration from Connery style (From Goldfinger movie). It features two-button front fastening, shawl lapel with ivory satin, five-button cuffs, fastening one chest and two waist pockets. Bond had worn different style shirts throughout his stylish career. He usually avoid informal details in his shirt; things like double pocket on chest, fancy colors and pattern. You have to stick to the basics if you are looking for a Bond looks, we have seen 007 donning white and light blue shirt mostly that features spread or sometimes tab color as well. Bond never comprise on his looks, beside debonair suit and matching shirt he does care for other accessories including his necktie. Below we have mentioned we tips you can follow to wear a necktie in an exactly same way 007 does. You should pick blue or gray as we have seen British spy putting on these color neckties. Daniel Craig presented the British secret agent in an extremely stylish way. We have seen him donning sleek and narrow ties. Usage of tie clips glamor your personality more. Select the shoes darker than your pants. Always chose the high quality leather shoes with comfortable socks. Play safe by wearing black Oxford shoes. Bond carries expensive accessories of recognized brand which shows his sense of fashion and sophisticated style. We have picked some of the timeless 007 accessories you can get to resemble every bit of your looks with British superspy. Bond carried three different models of Omega watches in his most recent appearance. This Omega model was certainly the best out of three. This watch can be seen in the opening pre-title sequence of Spectre, it is composed of steel case features 007 coat arms made with black arrow and three yellow circle. The Co-axial master is slightly changed with another different style. Following the popularity of Bond’s footwear in the Skyfall, Daniel Craig continued wearing Crockett and Jones Model in his most recent outing. This Norwich is also taken from the sequence. This classic pair of shoes features lace up front that matches with the straight toe cap, made up of premium calf leather with the rubber soles which are wear comfortable to wear. This classic black shoes made 007 appearance more iconic. It was very difficult to recognized the color of Daniel Craig sunglasses in the movie Spectre in Macro Sciarra funeral scene, but later then it is revealed by Tom Ford that the sunglasses was shiny brown. Bond sunglasses are found in two different sizes that are 50 and 52, but he has wear the smaller size which is 50. James bond was seen wearing these gloves in the movie “Spectre” attending the funeral of Sciarra and later in the driving scene while driving Aston Martin DB10. These unlined black driving leather gloves are made in England from hair sheep leather. For the perfect match Bond wear Tom ford three piece suit, white shirt, tie, sunglasses and shoes with these Dent leather driving gloves. This octopus ring was firstly seen in 2015 in the film “spectre”. 007 takes the ring from sciarra and it plays a vital role in spectre. For bringing up to date version of the octopus logo ring into the 21st century, the spectre designer Dennis Gasser worked with the graphic designer Laura Grant, Bond worn this ring to attend the grand meeting of all spectre agents. Eight legs octopus is embossed in the ring which is 3-D print in the wax. Bond have wear these “JB CUFFLINKS” which have same designs in the scene during London River Thames. Still it is not confirmed that who has created these stylish cufflinks. But somewhere it would said that these cufflinks are the creation of Tom Ford because He has previously design these types of elegant and classic cufflinks for James Bond. Daniel Craig has worn these N.Peal Turtleneck sweaters in the movie “spectre” Three times. Firstly he was seen in gray color than lapis blue and after that in dark black Turtleneck sweaters. 007 has worn lapis blue sweater with the Tom Ford knitted selves jackets and stirrup trousers. Designers has crafted these N.Peal Turtleneck sweaters from cashmere and silk worsted yarn that’s why they are lighter in weight and perfect. Daniel Craig had worn the grey Sunspel Riviera t-shirt in the Madagaskar, Miami Airport and Venice scenes of the movie Casino Royale. Same as Riviera polo and Riviera white V-neck shirt, it was specifically designed for the character of James Bond. The grey t-shirt is made up of sufficient and best material which make comfortable and a luxurious feel. The clothing company “Sunspel” has announced that this grey t-shirt is more suitable for Casino Royale. James Bond had worn Tom Ford sunglasses model # FT108 in the movie Quantum of Solace. As Olivia peoples are considered to be the best eye brand that’s why it was little confusion about James Bond glasses, but later it have been confirmed and identified as Tom Ford sunglasses. These glasses were introduced with James Bond logo and it is made up of semi-matte rhodium frame. Marcolin had made black temple tips and navy blue smoke in Italy and they are handmade. 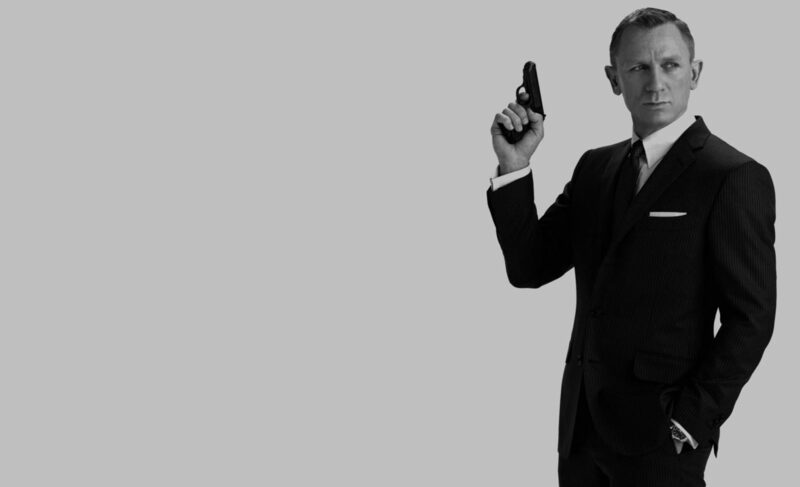 Vega gun holsters was worn by James Bond in Casino Royale, as well as in Skyfall, and Spectre. On his belt Daniel Craig has worn Vega IB339 holster in the movie Casino Royale and this holster comprise of Walther P99 with the polymer clip. In Quantum of Solace, Daniel Craig wears leather Prada belt that was in black color. In Perla de las hotel, this belt was observe in the fighting scene. This Prada belt is made up of Saffiano leather, and silver color buckle with embossed Prada logo in its surface that gives an elegant looks. Code # 2C 4099 2 of the belt was seen in the film. Daniel Craig (as James Bond) had worn Church Ryder III which was brown in color with comfortable rubber sole in the movie Quantum of Solace. These Ryder’s contain rubber sole unit, which is more dominated for who really need extra grip under foot. In many photo shoot Daniel Craig has worn the lighter color. Church Ryder III is featured rubber sole and heel and full leather lining. Daniel Craig (as James Bond) wears Crockett and Jones Highbury shoes in the London scene of the movie Skyfall (2012). This shoes are comprise on real calf leather and it consist of single Dainite rubber sole which have plain three eyelet derby. Daniel Craig had worn four different Crockett and jones shoes model in Skyfall and they have declared their association and involvement in Skyfall on their websites as well. In Skyfall, Daniel Craig (as James Bond), in the indoor shooting has uses a pair of green 3M Peltor H61FA British army earmuffs. This Peltor H61FA is designed for many different aspects: noise of weapons during shooting etc. 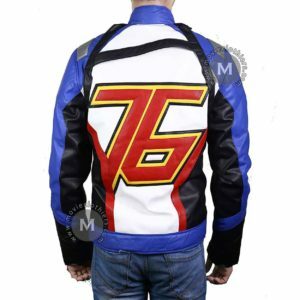 It has lighter weight and have optimum fit. The hearing protector have wide comfortable rings which are filled with the fluid and low contact pressure. Constant pressure is provided due to stainless steel. In the film, these earmuffs have yellow writing under the logo which is on the side. James Bond has worn blue Adidas Gazelle 2 shoes, blue jogging pant, shirt and training jacket with this 3M Peltor earmuffs. In the movie Skyfall (2012) James Bond wears Tom Ford cylinder cufflinks. These cufflinks were seen in the opening scene in Turkey. Cufflinks can be found in white gold, as it is in the film. Designer Tom Ford has also worn the similar cufflinks in the promotional photo. Daniel Craig has worn two different pairs of cufflinks in Skyfall, and the both were designed by Tom Ford. Longines Legend Diver watch was worn by assassin Patrice in the movie Skyfall. He wears black leather strap, Gold case with black dial, model # L3.674.8.50.0. Patrice has not only worn Longines in the Bond film but also in Casino Royale. For the Bond films, Swatch group are the long time sponsor. Longines legend watch contain 42mm case, it is water resistant and it also has super –LumiNova. In the movie Quantum of Solace, Daniel Craig pick up this great Zero Halliburton special edition Q4-PS suitcase at hotel Dessalines. It is fourth business case. During many different scene in the Perla De Las Dunas hotel, another unrecognized Zero Halliburton suitcase were observe. This special edition is based on silver, metallic handle, aluminum shells, white leather, and two wide file pockets. Following were some of the most useful and significant guidelines which will definitely help to give you a great look like James Bond. Dress up like him and express your love and affection towards him. This entry was posted in Costume Guides and tagged James bond, james bond costume guide.